Read more about student context cards. 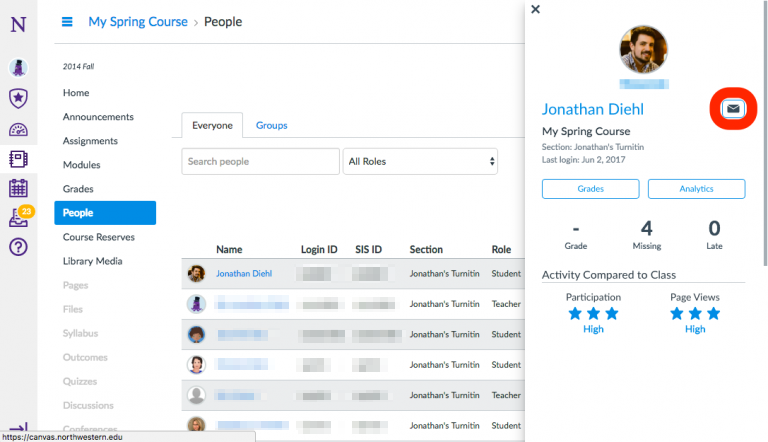 Within your Canvas course, select the People tab in the left navigation. Click on the name of the student you’d like to contact to bring up their context card. Click the email icon to the right of the student’s name to start writing a message to that student. 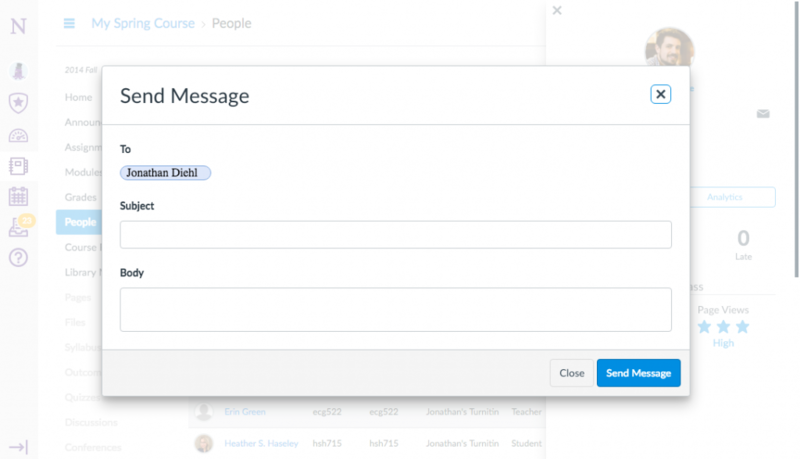 In the new message pop-up window, compose and send your message to the student.